If you think that living a clean bodybuilding lifestyle means choking down one flavorless cut of chicken after another, it's time to grow up and learn to cook. Become a master of meat, and you'll set yourself up to grow and add muscle for years! My regular readers and the people I coach know I place a huge emphasis on eating organic, particularly when it comes to meat. The health benefits of organic, grass-fed, pasture-raised meat and poultry over commercially raised meat are significant and legit. Organic meat contains less overall fat and calories, more healthy fats like omega-3s, a superior micronutrient profile, and is free of junk like extra hormones and antibiotics. It tastes way better, too! One thing I hear a lot is that this type of meat is too expensive for people on a tight budget. With some planning, there are ways to find money in your budget for quality groceries and maximize every dollar you spend on these foods. Believe me: You can afford to feed your body the best possible food, even on a really limited grocery budget. You just need to abandon the frozen food aisle and step up to the cutting board! The first thing to do if you don't think you can afford high-quality meats is to evaluate your grocery budget. If you're still buying processed foods, stop right there. 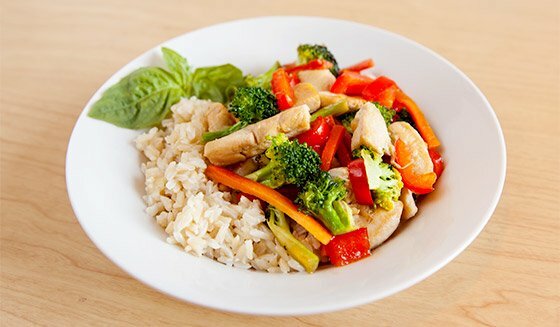 Frozen "healthy" meals, prepared fish and chicken, and anything else that's premade needs to go. Wave goodbye to packaged snacks, bars, and wraps as well. This alone can free up enough money to pay for a week's worth of grass-fed meats and organic vegetables, giving you the nutrients you need to grow—and none of the garbage you don't need. If your grocery budget is already pared to the bone, and you haven't been wasting any of it on processed foods, look at the rest of your budget. Are you prioritizing your money according to your health goals? Be brutally honest. Maximum health and fitness requires some investment. Money can't be wasted caving to cheap thrills, temptation, and distraction. If you spend $50 a week on lattes or $100 a week on entertainment, reconsider your priorities. How much are your bodybuilding and fat-loss goals really worth? Take half the money you spend on these things and buy wholesome food. Put your money where your priorities are. "Wave goodbye to packaged snacks, bars, and wraps as well. This alone can free up enough money to pay for a week's worth of grass-fed meats and organic vegetables, giving you the nutrients you need to grow." The key to making healthy home cooking both affordable and feasible is to make it as efficient as possible. When you make the most of your time and your ingredients, you'll be amazed by how much you can eat, how well, and for how little time and money. Healthy home cooking doesn't have to be complicated. Let's start with my top three tips for eating better-quality meat and saving time and money along the way. A package of four chicken breasts can cost $10, and you might get 2-4 servings out of it. And guess what: They'll all be some variation of grilled chicken breast. On the other hand, you can buy a 5-pound organic whole chicken for the same price and get several different meals out of it. Not only that, you can make all of those meals in less than two hours. Season an organic whole chicken with salt, pepper, and herbs like thyme and rosemary. Toss it in the oven for about 90 minutes at 400 degrees. Halfway through, add some coarsely cut carrots, sweet potato, celery, and onion. How much you can fit in will depend on the size of your chicken and your pan, but you should be able to fit a couple of carrots and at least one of each of the other veggies. 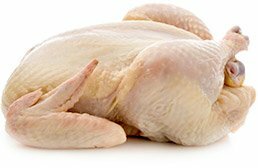 When a meat thermometer reads 165 degrees (inserted into the thickest part of the thigh, without touching bone), let the chicken rest for 10 minutes. Carve off the breasts, thighs, and drumsticks—there are countless YouTube vids that show how to break down a whole chicken. Now you've got the fixings for all of your meals, which I'll outline shortly. This approach holds true for just about every meat. Pork chops will cost you $3-4 a pound, even on sale. Four decent-sized chops to make 1-2 meals will easily cost you $10-12. A whole pork shoulder will usually run you about $1.20 a pound. At an average of 10 pounds, it will also cost you about $12. The difference is that you can roast the shoulder once and have enough meat to last a week when you turn it into stir-fry, stew, wraps, and beanless chili. Most of us are pretty good at combining errands and multitasking in other areas of our lives, but in the kitchen we're stuck on the idea that meals get cooked one at a time. This is a waste of valuable time! There are two great ways to cook once and eat several times. The first is to simply double or triple whatever recipe you're making. Instead of preparing one pork loin, prepare three. Rather than cooking one batch of chicken soup, cook two. Let the extra portions cool while you eat dinner, then pack them into the fridge and/or freezer for later. 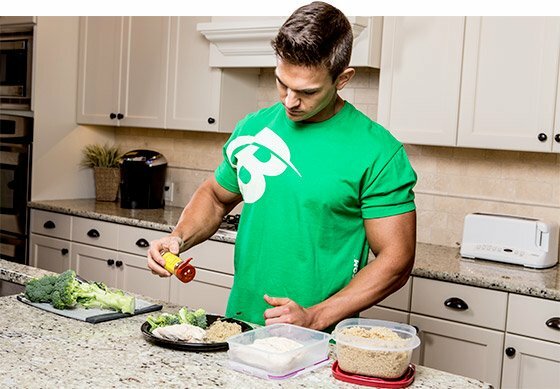 This is the classic bodybuilder way of handling food prep. The downside—just like with the chicken breasts—is that you end up eating the same thing over and over again. A better way to save time is to cook two or more different meals at once using some of the same ingredients. Remember that organic whole chicken I just showed you how you cook? Here's how to make it set you up for days. "A better way to save time is to cook two or more different meals at once using some of the same ingredients." Chop up the thigh meat and put it into a large plastic container with a lid. Take 1/3 of the veggies you roasted with the chicken. Put half into a blender and blend until smooth. Add one cup of chicken broth to the blender and blend again. Pour the chopped veggies and pureed veggies into the container with the chicken and stir. You have at least two servings of thick, creamy soup for tomorrow. Slice up the chicken breast, and wrap half of it to be used in a salad or two during the week. Portion out the other half of the chicken breast and another 1/3 of the veggies into one or two lunches to take to work, or a couple of dinners for after the gym. Pull the drumstick meat off and shred it with your fingers. Divide it between some large romaine lettuce leaves, add the remaining veggies, top with some good salsa and fresh spinach leaves, and roll it into wraps. You should get two good-sized wraps out of two drumsticks. You just turned that $10 chicken into four different meals, making 6-8 total servings. Including the other ingredients, that's about $2.00 per serving in less than two hours. Bonus: You don't have to cook for a few days. This same approach also works for the pork shoulder I mentioned before. Roast some carrots, parsnips, onions, turnips, and other root vegetables with it while it cooks, and you've got the ingredients for great soup, as well as enough toppings to make the best split baked sweet potatoes you've ever eaten. The slow cooker—aka Crock-Pot—is a busy bodybuilder's most valuable kitchen tool. You can spend a few minutes prepping whatever healthy ingredients you have around, toss them into the slow cooker with some broth and spices, and let it all cook while you're at work or the gym. In addition to saving time, the slow cooker can also save money. 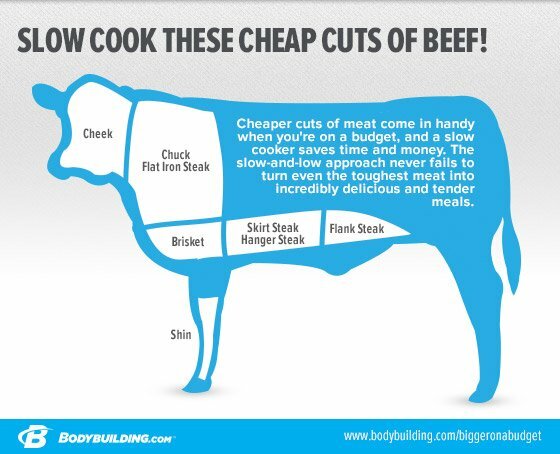 Cheaper cuts of meat come in handy when you're on a budget, and slow cooking is always the way to go with the cheaper cuts. The slow-and-low approach never fails to turn even the toughest meat into incredibly delicious and tender meals. This is especially great when you're struggling to afford organic grass-fed meats. The cheaper cuts such as chuck roasts will cost half as much as rib eye steaks, but they'll be just as good if cooked in the slow cooker, and may even go farther. When my baby daughter was born last year, my nutrition and overall health went into a serious tailspin. Because my wife and I were running demanding businesses and taking care of a newborn, we found ourselves eating out much more often than usual. As I explained in my article "A New Father's Guide to Fitness," I quickly became fatigued, my hormone levels went nuts, and I felt horrible. I knew I needed to act quickly if I didn't want to find myself in a state that would take months to recover from. One solution I came up with was taking private cooking classes from one of my favorite professional chefs, Amy Stoddard from www.SaySheAte.com. Learning to cook was life-changing. Once I got the hang of it, I started feeling fantastic. I slept better and awoke well-rested, had tons of energy, and didn't struggle with cravings. My workout recovery times improved, and I and saved a lot of money in the process. I was also able to bulk up to my most muscular physique—230 pounds on the nail. Take it from me: You can permanently improve your quality of life and your physique, which is why I focused an entire recent season of my online series Live Large TV on cooking and instruction from Amy. Take control of your kitchen today, and you'll thank me for years to come! Answer the questions and click ''calculate'' to find out how much you spend! You know protein is essential for muscle growth, but carbs play an important role too. Here's what you need to know.